London’s big art sale season is upon us. Christie’s kicks off on February 2 with a 50 lot sale of Impressionist and Modern evening sale led by a self-portrait by Egon Schiele. 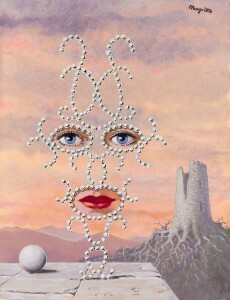 It will be followed by a sale of Surrealist Art. The top pre-sale estimate for both sales is £129.1 million. 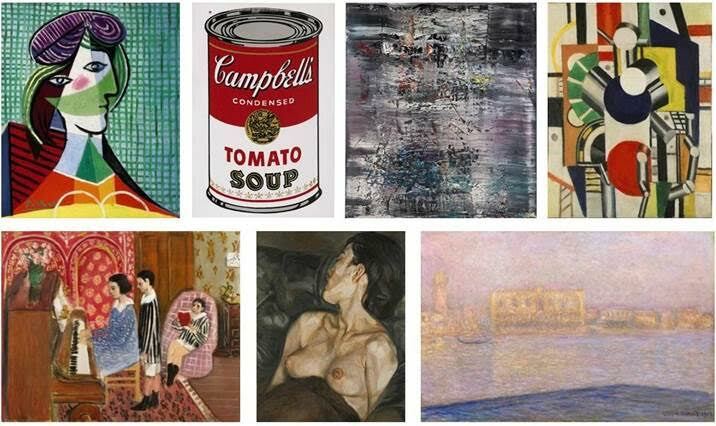 These sales open a week of five Impressionist, Modern and Surreal art sales at Christie’s King Street and South Kensington. With estimates starting from £300 up to £10 million, the auctions present new and established collectors with a wealth of opportunities to acquire rare and seminal examples by masters of the period. Ferme en Normandie, été (Hattenville) (£4.5-6.5 million) © Christie’s Images Limited 2015 UPDATE: THIS MADE £5.1 MILLION. Les mariés de la Tour Eiffel (£4.8-6.8 million). 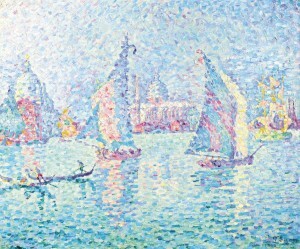 © Christie’s Images Limited 2015 UPDATE: THIS SOLD FOR £7 MILLION. Gentileschi’s Baroque masterpiece Danaë was the top lot at Sotheby’s $53.5 million evening sale of Master Paintings in New York. 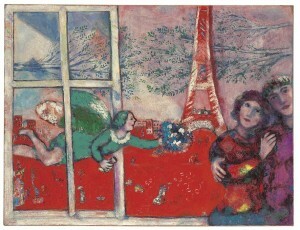 It made $30.5 million – more than seven times the previous world auction record for the artist. 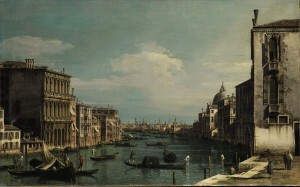 The monumental work was acquired by the J. Paul Getty Museum, Los Angeles. Commissioned in 1621 by the nobleman Giovanni Antonio Sauli for his palazzo in Genoa, the work captures a scene from the myth of Danaë in which the daughter of King Acrisius of Argo is spirited away to a secret chamber to dissuade all male suitors. While mortals are deterred, Jupiter, God of the Sky and Thunder, is not — he catches a glimpse and promptly falls in love with the princess, materializing in her bedroom as a shower of gold coins. 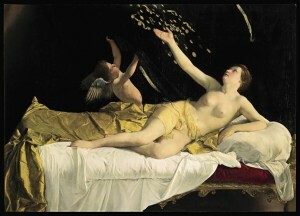 In Gentileschi’s rendering, Jupiter’s arrival is announced by Cupid who pulls back the curtains to reveal Danaë. A figurehead of the Italian Baroque period, Orazio Gentileschi began his career in Rome where he, like many others of his time, worked in close proximity with Roman and visiting artists. By 1600, a young artist by the name of Caravaggio was a constant companion, whose friendship translated to great artistic influence. In his later years, Gentileschi became known as one of the most talented and distinct Caravaggesque painters, a trait that he passed along to his daughter, the most celebrated female artist of the 17th century, Artemesia Gentileschi. 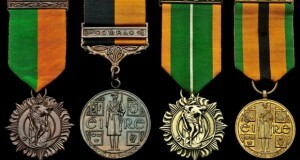 The medals of Bridget Connolly of Cumann na mBan sold at Spink in New York. Medals relating to the Easter Rising in 1916 had a mixed fate at Spink in New York yesterday. Medals awarded to Sean T. O’Kelly, the former President of Ireland, failed to sell. They had a low estimate of $12,000. The highest price was paid for medals awarded to the British Army Captain Campbell Kelly. He was later convicted of bigamy and the lot included his Military Cross and George Cross. 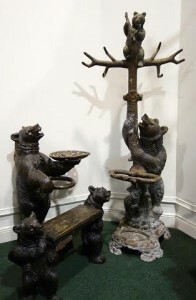 They sold for $9,500. The medals awarded to Miss Bridget Connolly of Cumann na mBan for her rose at the GPO in Dublin during the Rising and in the War of Independence went to a telephone bidder from Ireland for $7,250. They came up as part of the two day Numismatic Collectors Series Sale. Old Master paintings and drawings from the collection of Alfred Taubman brought in $24.1 million at Sotheby’s in New York last night. 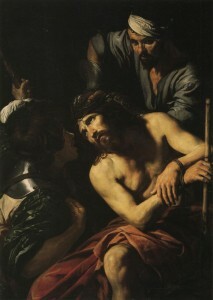 The top was was Valentin de Boulogne’s The Crowning with Thorns which sold for $5.2 million and set one of six new artist records. 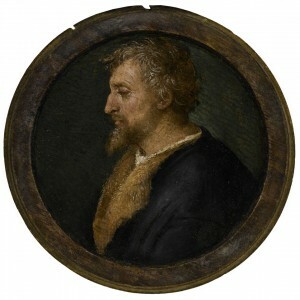 Raphael’s Portrait of Valerio Belli – Just 4¾” in Diameter – made $3.3 million as did The Blue Page, Thomas Gainsborough’s portrait of his nephew. The annual Masters Week auctions in New York are continuing. 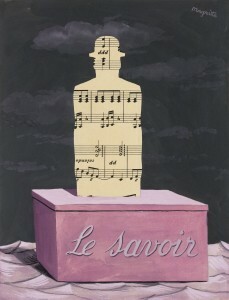 All images courtesy Sotheby’s. 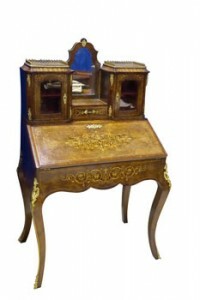 (See post on antiquesandartireland.com for November 5, 2015). 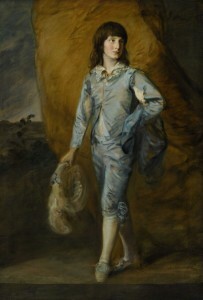 Thomas Gainsborough – The Blue Page. 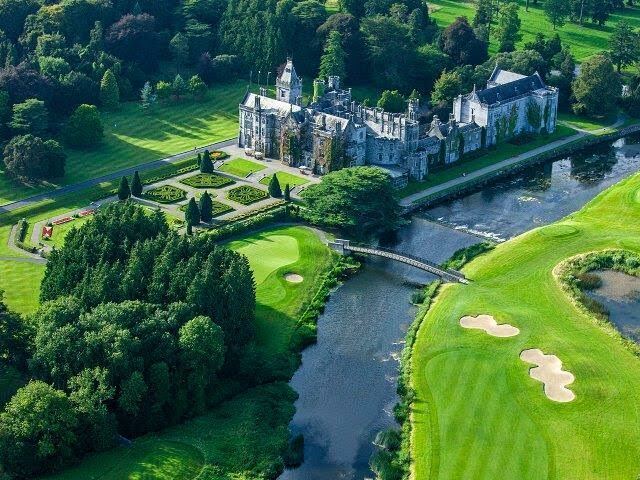 An aerial view of glorious Adare Manor. THE two day auction of hotel contents at Adare Manor got off to a flying start today. 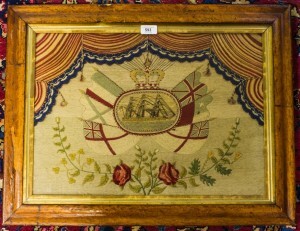 The first day of the auction might not have had too much to interest serious collectors but many bidders took the opportunity to acquire a souvenir from the much loved Co. Limerick resort, which is closing for a total refurbishment. 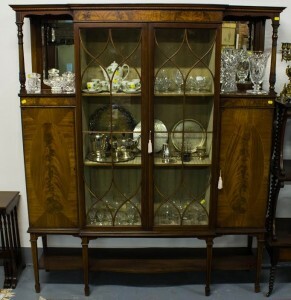 Lots like brass lights, tableware, towel rails, garden pots, tiles, chairs, armchairs, writing desks and coffee tables, all with low estimates from auctioneer Aidan Foley, attracted spirited bidding in the room, on the telephone and on the internet. A pair of cast iron gates estimated at 60-100 sold for 1,350 at hammer. A collection of garden pots made 110 and a large collection of tiles made 1,200. 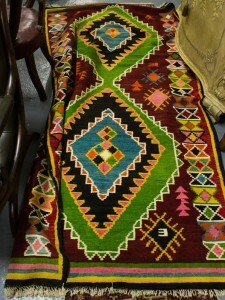 Ten 19th century style dining chairs made 500 over a top estimate of 250 and this was the pattern for many of the lots. 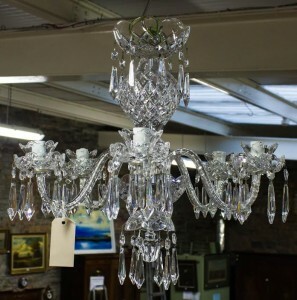 (See post on antiquesandartireland.com for January 23, 2016). 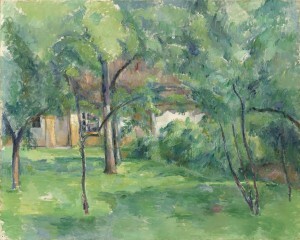 Art by Monet, Picasso, Matisse, Warhol, Freud and Richter have been unveiled together for the first time by Sotheby’s ahead of London’s upcoming auctions of Impressionist, Modern, Surreal and Contemporary art. 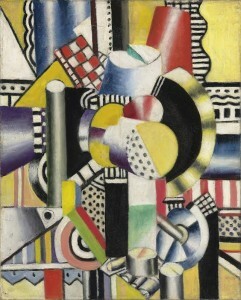 Highlights include Picasso’s ‘golden muse’, Marie Thérèse Walter (£16-20m): Lucian Freud’s deeply intimate portrait of 17-year-old lover while pregnant with daughter Bella (£7-10m); a monumental abstract canvas by the world’s most valuable living painter, Gerhard Richter (£14-20m); Matisse’s exceptional La Leçon de piano, emerging after 89 years in a private British collection (£12-18m); Andy Warhol’s iconic Large Campbell’s Soup Can (£4.5-6.5m) and Monet’s spectacular view of the Palazzo Ducale on the Grand Canal, Venice (£12-18m). An exciting opportunity to acquire works on paper, ceramics and terracotta sculpture by Pablo Picasso that remained in the artist’s studio throughout his lifetime arises at Sotheby’s in London on February 5. 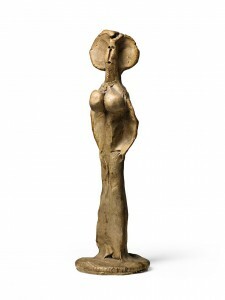 They are from the collection of his granddaughter Marina Picasso. 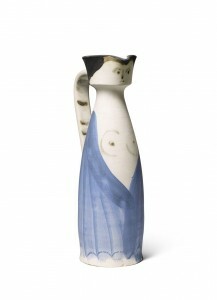 A masterful overview of Picasso’s career in its entirety, spanning every decade of his oeuvre and encompassing each of the artist’s genres – including many that mark the genesis of his greatest ideas – the collection of 187 works includes 70 ceramics and terracotta sculptures and 106 works on paper. 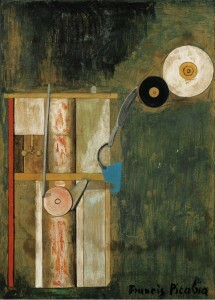 Estimates range from £4,000 to £180,000 and the sale is expected to make a combined total of £6.9–9.8 million. It will be held the morning of February 5following Sotheby’s Impressionist, Modern & Surrealist Art evening and day sales on February 3 and 4. 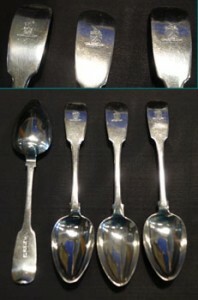 Four Irish silver spoons with unicorn crest, Dublin 1831-31 (200-300). 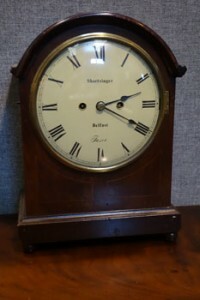 A mid 19th century bracket clock by Shortsinger of Belfast (1,500-2,000).